The next Gears of War 3 DLC will add a three-hour standalone prequel campaign. 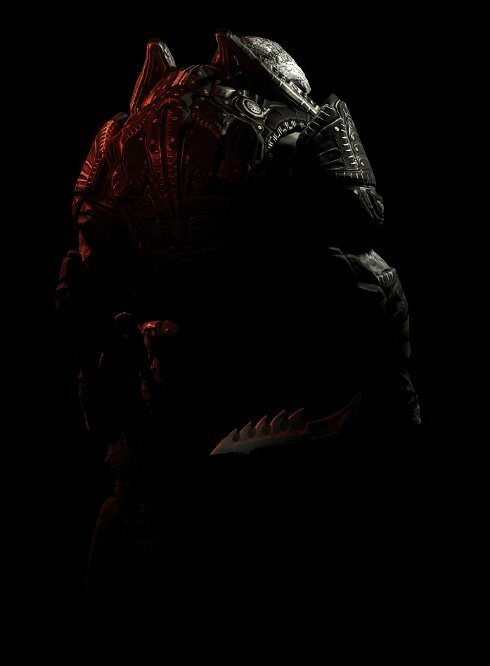 "RAAM's Shadow" will be released on December 13th for 1200 MS Points, or $15. "Shadow" takes place in the aftermath of Emergence Day, before first Gears of War game. Zeta Squad must evacuate Ilima City and protect civilians from the Locust. Zeta Squad, led by Michael Barrick (from the Gears comics) counts Lt. Minh Young Kim and Tai Kaliso among its members. To prevent the DLC from being a complete sausage fest, Epic added a new female trooper named Alicia Valera. General RAAM, the final boss from the first Gears game, will appear as well. In fact, players will get to control him and kill a few humans. Might be a refreshing change of pace to those of you who died repeatedly to him in Gears 1. The new campaign isn't the only content included in the pack. "RAAM" will give you six new characters for multiplayer as well. You can also make yourself look like a soldier in Candy Land's army with a new Chocolate Weapon Set. By playing through the content, you can earn up to 250G of new Achievements. GoW3's first DLC, "Horde Command Pack", enhances the Beast and Horde co-op modes. It's due on November 1st. You can get "Horde Command," "RAAM's Shadow," and the next two GoW3 DLC packs by purchasing a Season Pass for 2400 MS Points. The Season Pass is said to be at least 30% cheaper than purchasing the DLC individually.